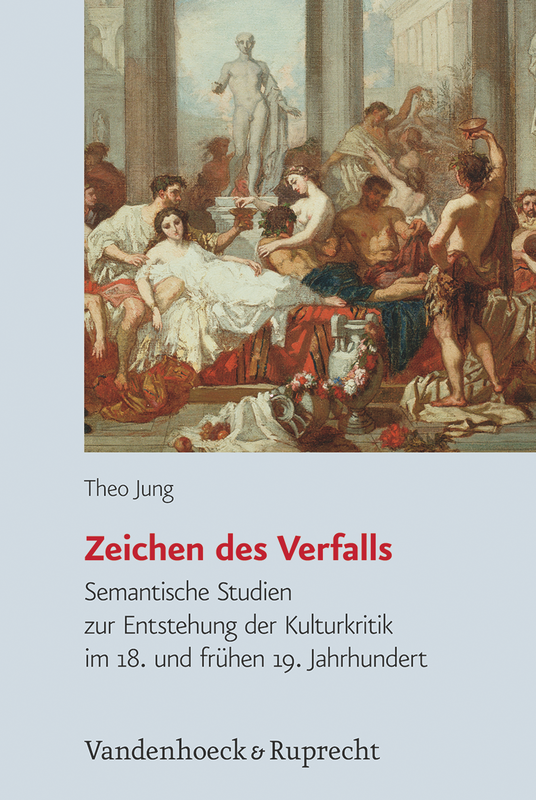 A short article I wrote about luxury debates at the end of the eighteenth century has been published in the Zeitschrift für Kulturphilosophie. Luxus und Sozialordnung. Kulturelle Selbstbestimmung und die Grenzen des Konsums am Ende des 18. Jahrhunderts, in: Zeitschrift für Kulturphilosophie 7, Nr. 1 (2013), S. 199-203. 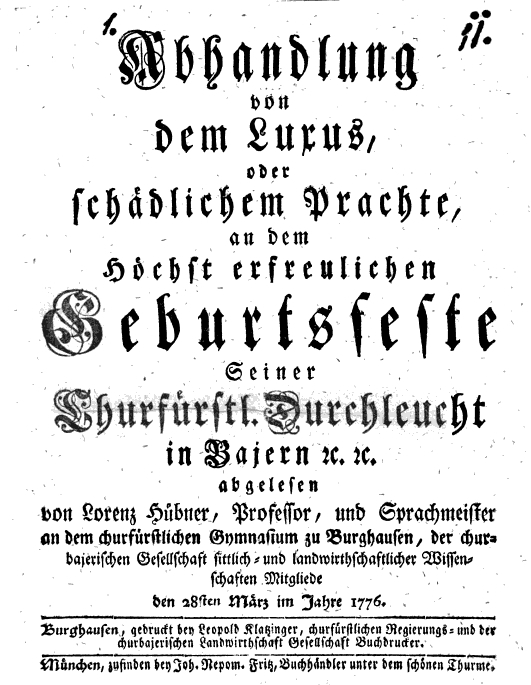 In essence, the article provides a commentary on and contextualization of a text published in 1776 by Lorenz Hübner (1751-1807) titled Abhandlung von dem Luxus, oder schädlichem Prachte, which is also reprinted in the Zeitschrift. Hübners text – originally a speech in honor of the bavarian elector Maximilian III. Joseph – provides an interesting insight into the history and development of eighteenth century luxury debates. Matthias Kroß, Rüdiger Zill (ed. ): Metapherngeschichten. Perspektiven einer Theorie der Unbegrifflichkeit. Berlin: Parerga 2011.
was published in the journal Contributions to the History of Concepts. 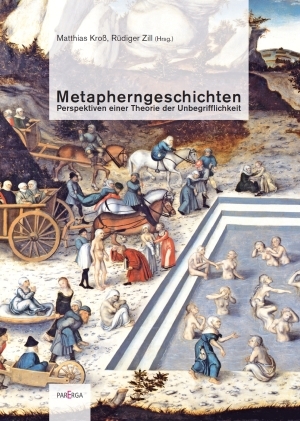 In sum, this volume contains some very interesting and well-researched articles on the theory of the history of metaphor as well as on its practice: an important contribution to a field of research in which a lot of progress is yet to be made. An article I wrote about the concept of the ‘spirit of the age’ in the long Eighteenth Century has been published in the volume Frühe Neue Zeiten, edited by Prof. Dr. Achim Landwehr. Zeitgeist im langen 18. Jahrhundert. Dimensionen eines umstrittenen Begriffs, in: Achim Landwehr (Hg. ): Frühe Neue Zeiten. Zeitwissen zwischen Reformation und Revolution (= Mainzer Historische Kulturwissenschaften 11), Bielefeld: transcript 2012, S. 319–355. In my article, I trace the meanings and usages of the concept of zeitgeist in its various forms (esprit du siècle, Geist der Zeit, spirit of the age, etc.) across a number of contexts in France, England and the German lands. The concept is shown to be at the center of the temporalization of discourses about contemporary culture and its historical development during the Eighteenth Century. A special focus of the article lies on the complicated relation between the unstressed usages of the concept on the one hand and the explicit, metalinguistic discussion about it on the other. Because of its controversial and elusive nature, the concept of the spirit of the age was at the center of heated debates about its cognitive and metaphysical legitimacy and its pragmatic usefulness. How did such debates influence its use in other contexts? To read the Achim Landwehr’s introduction to the volume, click here. 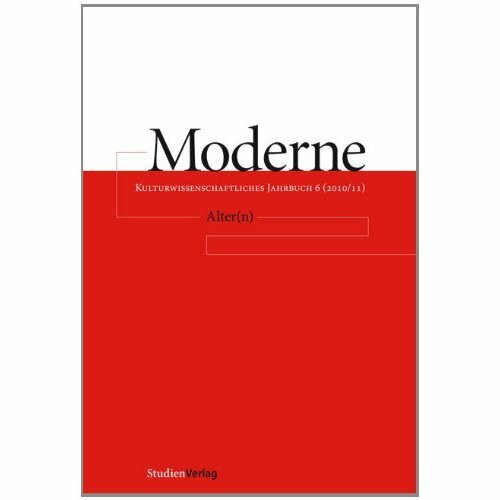 After a long publishing process, an article I wrote in 2010 has now been published in Moderne: Kulturwissenschaftliches Jahrbuch. In it, I survey the analytical strengths and weaknesses of Reinhart Koselleck’s theorem of temporalization for empirical research in the humanities. Considering it’s origins in modernization theory and giving it’s various critics due attention, I argue that the concept – in an updated, more pluralized form – may still be fruitfully applied in historiographical research. The volume may be purchased here.